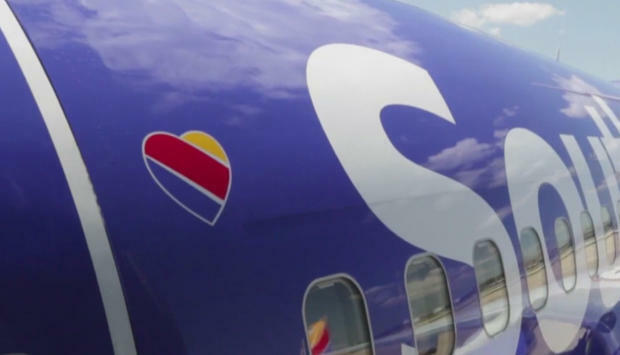 Seattle — A Southwest flight from Seattle to Dallas was forced to turn around after someone left a human heart on board. The Seattle Times reports Flight 3606 initially arrived in Seattle from Sacramento, California. The Seattle Times reports that Flight 3606 arrived in Seattle from Sacramento, California. Someone forgot to unload the heart before the plane left for Dallas, and the captain announced over Idaho they were turning back. Southwest said the "life-critical cargo shipment" was for a hospital and had been sent by a company specializing in shipments. A spokeswoman for Sierra Donor Services, a Sacramento-based organ and tissue recovery agency, told The New York Times the heart was never intended for a transplant, but its valves and tissues were meant for use in future surgeries. Parts of a heart, such as valves, can be recovered when whole heart transplants aren't feasible. The heart needed to reach the offices of LifeNet Health, in a suburb of Seattle, within 48 hours after the donor's death to be usable. According to CBS affiliate KYTX-TV, once the plane landed in Seattle, the plane was taken out of service due to an unrelated mechanical issue and workers brought in a different plane for the flight. It eventually took off again after a five-hour delay.